Obsessive Compulsive Barbecue shares an excerpt from the world of Louisiana BBQ in the 19th Century. Grilling with Rich interviews Joe York about his documentary on Helen's Bar-B-Que titled "I AM THE PITMASTER". A fantastic look at the life of a woman running the pit. BBQ Jew shares a video on the Lexington BBQ festival where every year the population of this 20,000 person town swells to 200,000 in a celebration of music, community and BBQ!! Memphis Que reviews a popular new addition to the West Memphis rib scene. Sounds like he had a better time here than Willie Mae's. Marie Let's Eat! visits Thatcher's Barbeque & Grill. She notes after reviewing over 200 BBQ restaurants to date "that Thatcher’s has one of the most expansive, weird and fun menus that I have ever seen.". Cowgirl's Country Life gives her recipe for cooking Beef Cheeks Chili Rellenos on her drum smoker. That lasagna style cooking is a pretty great idea. 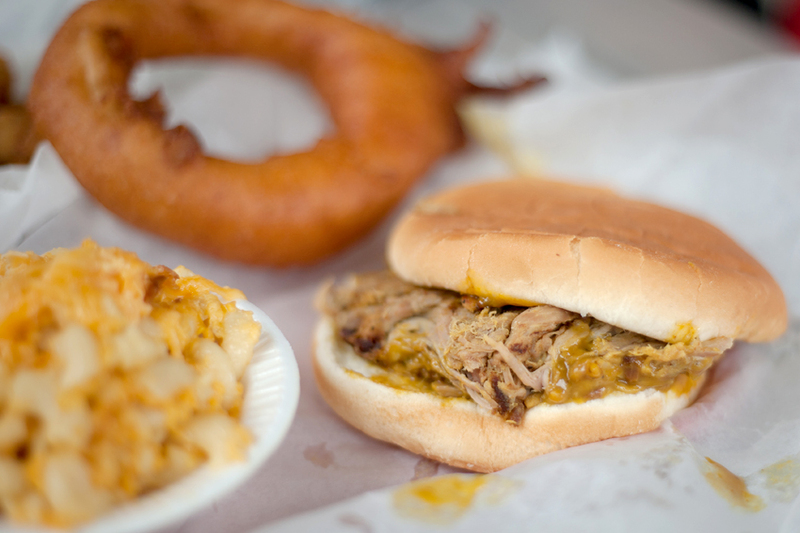 Barbecue Bus gives us a great snapshot of iconic South Carolina BBQ joint Melvin's. Man Up Texas BBQ isn't sold on your fancy New York City $260 BBQ brisket. Not especially when you can get one done by God's Pitmaster for a mere $128.